The City of Whiteville Public Works Department strives to provide a clean, safe community for residents and visitors. 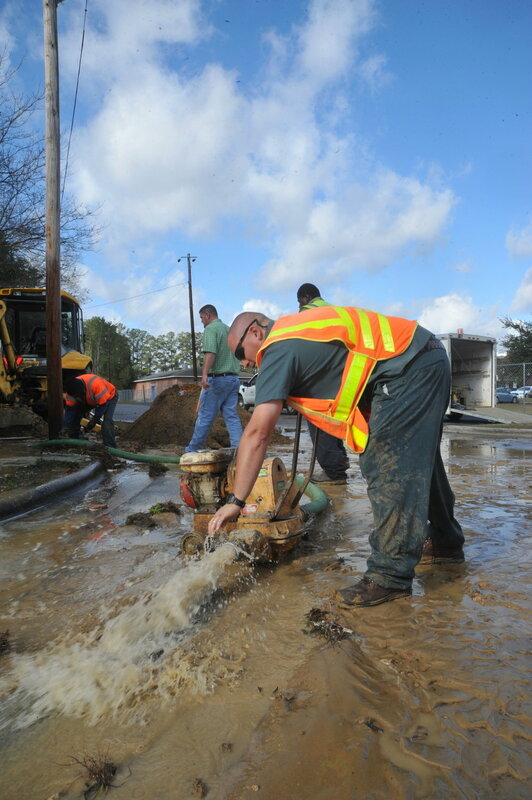 The many services the Public Works Department provides include the design, construction, operation and maintenance of water, wastewater, stormwater and solid waste systems along with city street and sidewalk repair. To contact the Public Works Department with concerns regarding public roads or facilities, during business hours, call 910-642-3422. For emergencies after-hours, weekends, and holidays, please dial 911. Do you have a question about traffic concerns? Do you have concerns about streets or storm drains?Questions about Sanitation? Travis Faulk was appointed by the City Manager on April 20,2009. He has worked in the public and private sector serving citizens of Whiteville and other nearby locations since 1997. Mr. Faulk has vast experience in the area of Public Works. The breadth of his experience ranges from the installation, operation, and maintenance of distribution, collection, roadway, waste, and mechanical systems to the management of storm water management utility construction systems. Mr. Faulk incorporates quality customer service as an integral part of his job and his department. Mr. Faulk is a member of the NC Rural Water Association and the American Water Works Association. He holds a certification in Grade 2 Water Pollution Control Systems Operator as well as several other areas which require certifications related to safety measures. Mr. Faulk is a certified Muller Valve technician. He attained certification for Utility Management Leadership Training from Utah State University Business Institute.